An important school for the Emirates, and one that has admirably stood the considerable tests of time since its opening as a villa school two decades ago. It has been a long struggle, but RISD’s securing in 2016 of Good School status, against many odds and through the not inconsiderable investment and commitment of the whole school, is not before time. 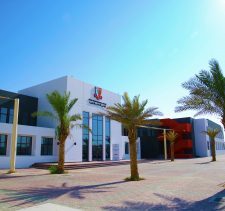 Established in 1996 as The Dubai Russian School, RISD started as a small, Hamriya-based villa school educating 60 students. The school established itself in its current form following its move to Muhaisnah in the early stages of the villa closure programme in 2009-10 in order to radically improve the breadth and quality of its educational offer to students. RISD took over the site of the European School of Dubai, now closed. The current owner, Najibullah Najib, is also the school’s original founder, although day to day running of the school is conducted by RISD Head, Mrs Marina Khalikov. 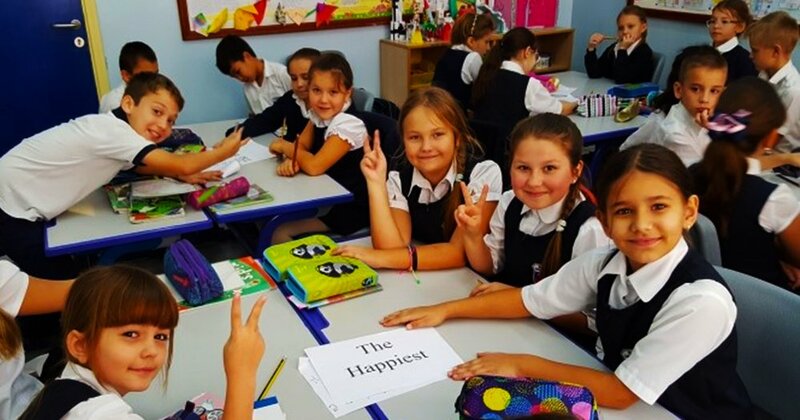 Over 20 years the school has become an established link for Russian-speaking diaspora in Dubai, and has been growing annually, although the school body has dropped slightly in 2016-17 from its historic peak in 2015 when its roll numbered 450 students. 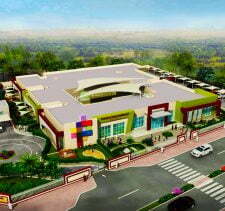 The school is well cared for and has a typically Arabic school architecture with significant warmth. 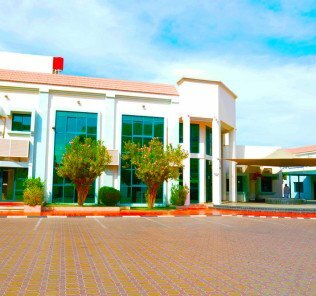 Buildings are two story giving a sense of intimacy and facilities, whilst far from the bells and whistles of the Tier 1s, punch above the school’s fee structure which sits at the higher end of the value segment between 13,747 AED and 21,138 AED. They include a whole school library, assembly and sports halls, (excellent) science labs by individual science and a cafeteria (this currently being expanded); and a swimming pool area being developed to form a Kindergarten play centre. RISD draws the majority of children from Russia with significant minorities attending from Uzbekistan, Kazakhstan, Ukraine, Kyrgyzstan, Belarus, Azerbaijan, Turkmenistan, Armenia, Tajikistan and Uzbekistan. A limited number of students have been drawn from France, Canada, Germany, the UK and Turkey amongst a broad spectrum of other nations. The RISD curriculum follows the standard Russian division between primary, basic general and secondary (full) general education, these supported by full FS 1 and FS 2 Early Years learning. The curriculum is aligned High School Number 3 of the Central district of Volgograd, Russian Federation. All teachers of the school are graduates, 36 of them holding certificates of higher education, 2 teachers hold specialist scientific degrees in languages and 2 teachers are expert in the provision of Special Educational Needs [SEN]. 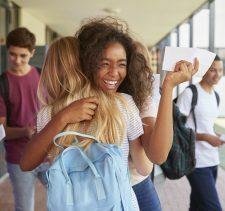 The school leadership draws mild critique from Inspectors for being too generous in their evaluation of the school and their successes, but the positive to this is that teachers and school leaders are clearly very proud of the school, its students and their achievements. 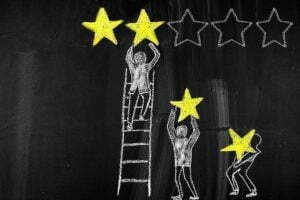 To move beyond “Good School” status, however, a much more self-critical and honest appreciation of the school’s strengths and weaknesses will be required in order that the school is able to recognise and understand areas requiring improvement – and so move forward. Other areas where the school struggles are in core Arabic subject areas (an area in which all non-Arab schools find challenging), and in bringing SEND provision to a standard where it can fully identify and meet the needs of all students (from those with weaker or missed ability to those identified as Gifted and Talented [G&T]). On this note it is perhaps telling that RISD has been advised to alter the language of its admissions policy to ensure that it does not appear to preclude entrance to the school of children identified as having Special Educational Needs or Disabilities (SEND). Our view is fundamentally positive. A number of Russian schools historically in the Emirates have either closed, failed or never got off the ground. It is important to have a broad cultural educational system able to meet the needs of, and nurture, the broadest range of cultures. School fees are, by any standards, low – and this inevitably limits the ability of the school to develop its provision to meet its clear ambitions to at least reach a “Very Good” KHDA standard off educational provision. The limited role, hovering around 400 students, further weakens its ability to generate the revenue required to significantly invest in school improvement. Notwithstanding its limitations, RISD does meet its ambitions to celebrate Russian culture and language (particularly in literature) – and ultimately this, they would argue, is the single most important success of its schooling. Parents, students, teachers – and the school’s owner who has stood the distance when so many of his peers have fallen by the way side, should be very proud of achieving their new KHDA “Good School” accreditation. It has been long fought for. To keep it, however, in the context of a Dubai educational system demanding ever higher standards year on year, will test the mettle, resolve and commitment of the school as a whole in the year to come. We wish them well. Recommended. Click for the the full SC.com review.